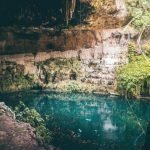 This is the number one list of best cenotes in Tulum, Mexico you’ll find on the web. 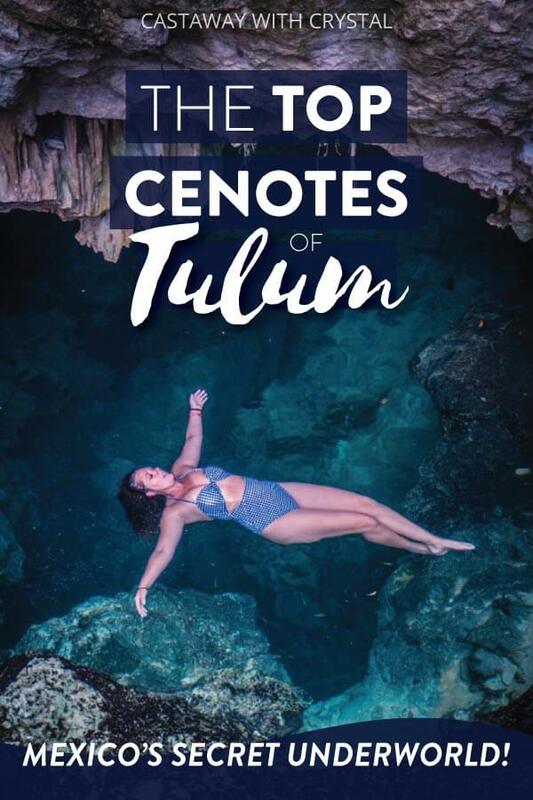 Filled with loads of useful information about each cenote, it’s perfect for helping you find the top cenotes in Tulum for your needs. How do I Know So Much About the Tulum Cenotes? While living in Mexico, my local friend took me to all of the best cenotes near Tulum. I went to about five different ones that time. Then later, I came back to Tulum with my own Mexican car to explore the cenotes once again. 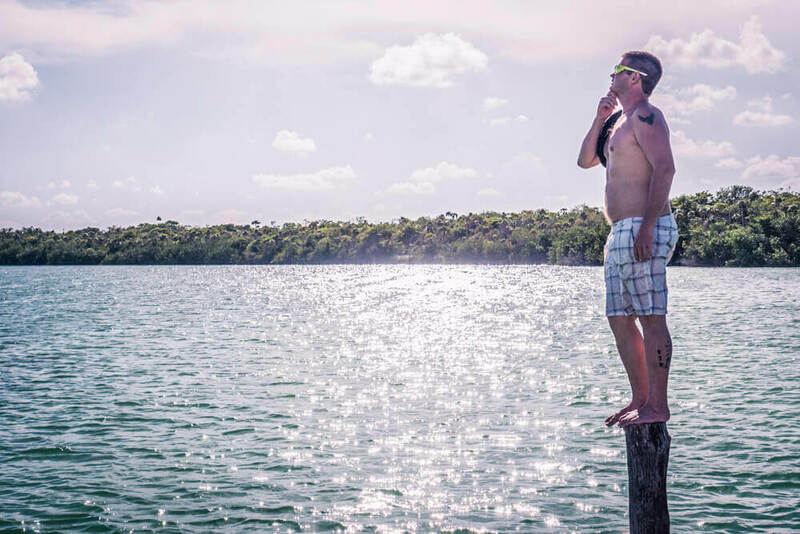 I was on a search to find out which cenote is the best in Tulum. By this time, you could say I was cenote-obsessed and I spent even more time exploring as many off-the-beaten-path cenotes that I possibly could! 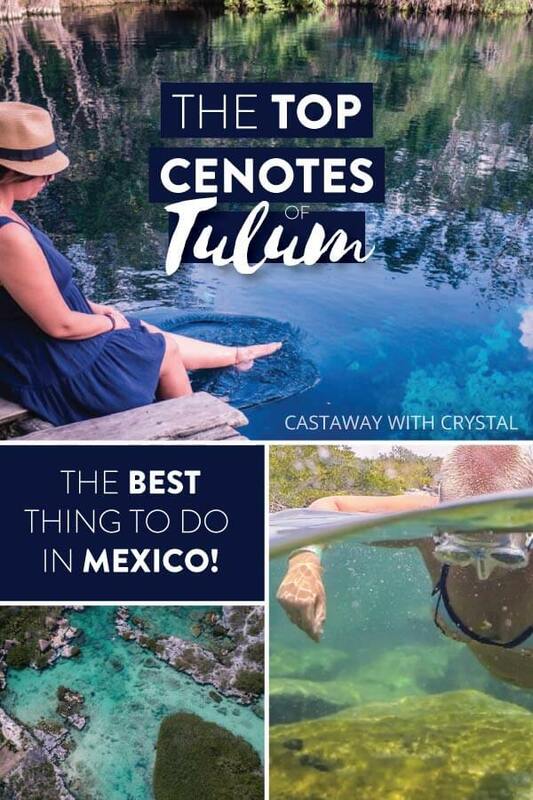 That means this post is about the best of the best Tulum cenotes, with insider local knowledge just for you! But, What is a Cenote? There are over 6, 000 cenotes in the Yucatan Peninsula alone. Cenotes were sacred to the Ancient Mayan people, who used them not only as a source of water but also for sacrifices. Cenotes are still sacred to the Mayan people today, meaning most cenotes are closed off from public use. Tulum is home to the largest underwater cave system in the world. The Sac Actun System (Sistema Sac Actun) meaning “white cave system” is an impressive at 347 kilometers (215 miles) long. The Tulum cenotes in the Sac Actun System are highly decorated, with beautiful stalactites hanging from the roofs of the underwater caves leftover from when the caverns were dry. Cenote Dos Ojos is a good example of this and is the perfect cenote to do your first cavern dive. Other cenotes, such as Cenote Pet Cemetery, have the remains of ancient animal fossils that can still be seen today. 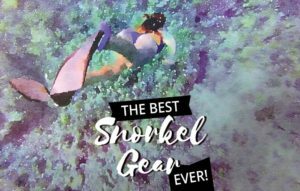 READ: How to Choose the Best Snorkel Gear on the Market! Car Wash is a large open cenote, filled with brightly colored lily pads, turtles and even the odd shy cayman. It’s sometimes referred to as “Pond Cenote” due to its peaceful exterior. Underwater, there are a large variety of plants and fish which make for great snorkeling. Cenote Carwash is easily one of my top 5 cenotes, because not only was it much more peaceful than the more popular cenotes in Tulum, but there is something under the water that makes this cenote more unique than all the others! Cenote Carwash is named so because the cenote is close to the road and taxi drivers used to bring their cars to this cenote to wash them. People particularly loved to wash their cars here because each new day, all the soapsuds and cleaning products would “magically” disappear from the cenote! This “phenomenon” sparked one of the first cenote cave explorations in the area, to find out where the suds went. The opening of the underwater cave is partly covered by giant submerged trees, and with the odd diver darting in and out of the cave; the snorkeling at Car Wash Cenote is some of the most impressive of all! There is also a wall of lily pad leaves that are fun to explore with a snorkel mask too! The cenote diving at Carwash is also incredible. Adorned with colorful rock decorations, stalactites, and the giant fallen trees, this cenote has an eerie, otherworldly vibe! In this winding underwater cave system, both diving and snorkeling are stunning in Cenote Dos Ojos (Two Eyes Cenote). 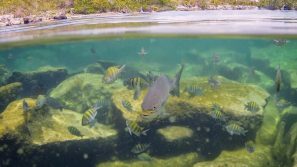 I’ll take a hot minute to talk about the snorkeling in Dos Ojos, but if you think you’d prefer to dive, make sure you jump down to the scuba diving section to read about diving at Dos Ojos. 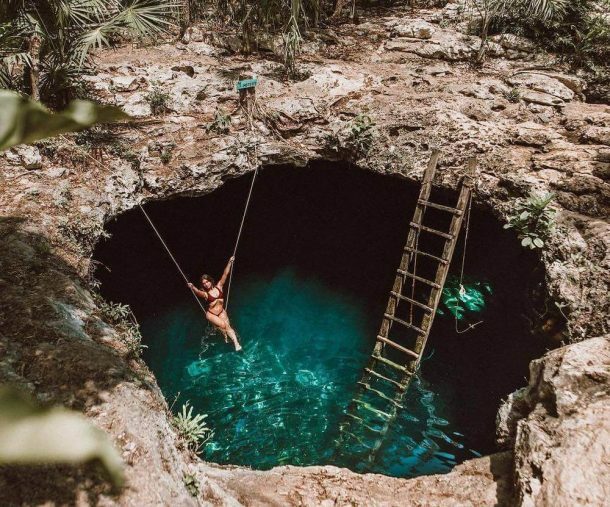 One of the best cenote caves in Tulum (and probably Mexico), Dos Ojos is named so because two 70-meter sinkholes connect by a 400-meter passageway, which gives the appearance of two eyes. Though you cannot enter the passage, the “eyes” are a beautiful place to go snorkeling. You can view dramatic rock formations, play with schools of fish and watch under the crystal-clear waters as the divers cruise through the caves. Casa Cenote has always been one of my favorites even though it is now super popular and busy. Casa Cenote is an open cenote that connects a long underwater cave system (Nohoch Na Chich) to the sea. Because the cenote contains both fresh and sea water, both ocean, and freshwater fish live here. You don’t get that in the cave cenotes. Some of the most interesting fish are the Cichlids, and they can be viewed in abundance here, darting around the mangrove roots. 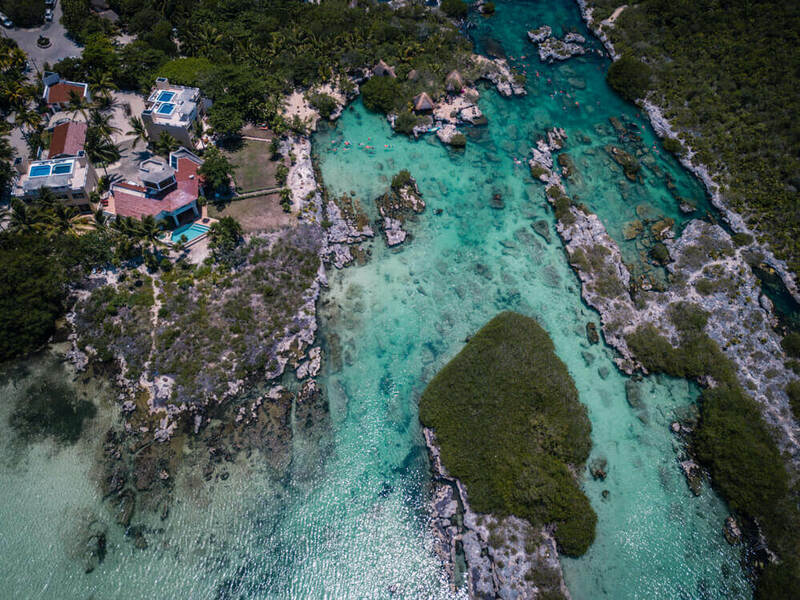 Casa Cenote is like a big, natural swimming pool, making it perfect for paddle boarding, snorkeling, scuba diving and free diving. It is also commonly referred to as Cenote Manati because (you guessed it) it used to have manatee sea cows living in it. Scuba diving here is just as good as the snorkeling. 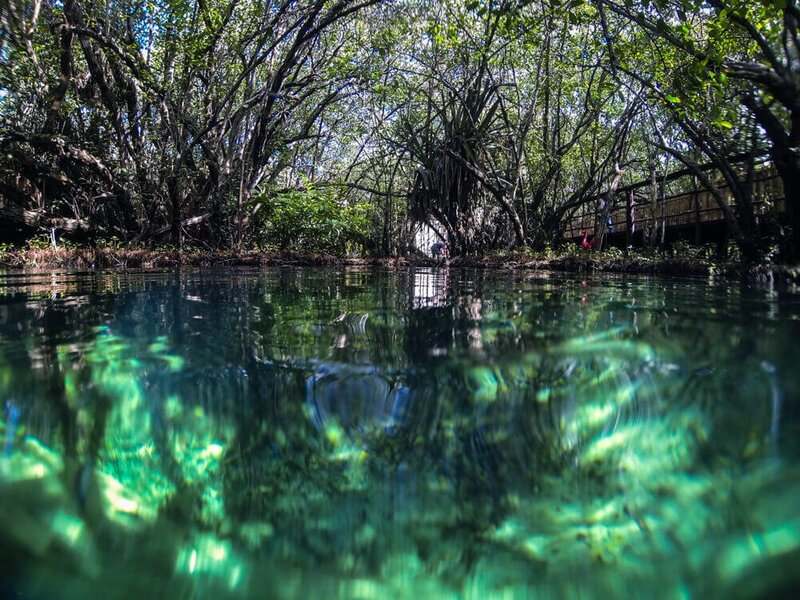 You’re able to cruise under the wetland mangrove roots, through a limestone passage and face-on with interesting fish. Sometimes, you’ll even be able to spot the halocline that occurs when the salt water mixes with the fresh. 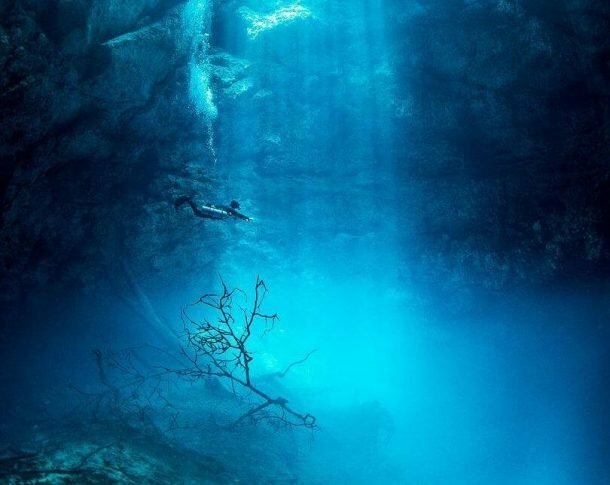 It’s one of the most unique cenote dives in the area. Plus, because it is mostly open water, it’s great for beginner divers who need some practice before they head into the Tulum caves. Toilet (sometimes). Life jacket and snorkel gear for rent. $50 MXN pesos for a locker and $150 for a kayak. 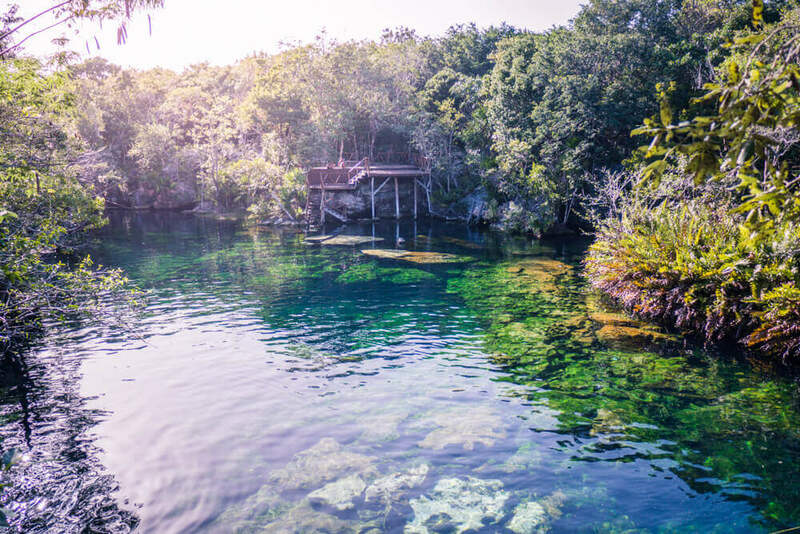 Casa Tortuga might just be one of the best off-the-path cenotes in Tulum. It is newly opened so not too many people actually know how awesome this place is… Yet. 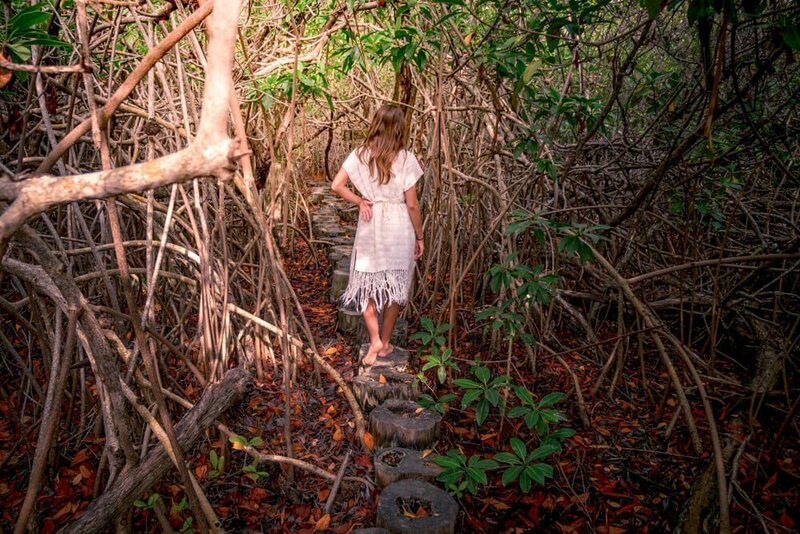 Visiting Casa Tortuga is sort like a cenote tour of a series of three cenotes in a park. 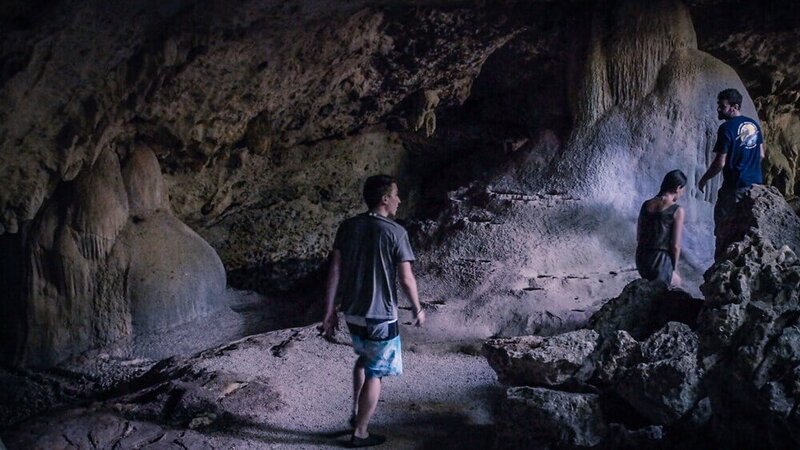 A tour guide leads you to visit two cave cenotes and an open cenote. One of the cave cenotes you are led inside where you can see bats and interesting blind cave fish. In the other, you are taught about the rock formations and interesting cave geology facts while experiencing slight vertigo caused by the crystal-clear water and the sheer depth of the cave. The open cenote is mainly for fun. You can jump in of the edge and swim around. 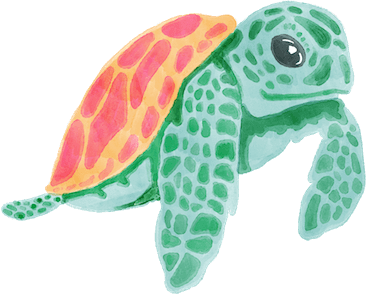 If you’re lucky you’ll spot a resident turtle swimming alongside you. The cenotes of Casa Tortuga are perfect for newbies who want an in-depth introduction into the cenotes on a tour. They provide snorkel gear, life jackets and a guide included in the price. The cenote tour can take some time, especially if you need to wait for more members before the tour can leave, so make sure you leave at least a few hours to complete the entire route. You’ve probably seen the gorgeous pictures like the one above. This is the cenote with a swing and a jumping platform, all surrounded by Mexican jungle foliage; it’s a great cenote to photograph, that’s for sure. But there’s a lot more to Cenote Calavera than first meets the eye. Under the surface, the caved-in middle platform juts downward in an almost perfect circle, with boulders tumbling down the sides. This means that when you scuba dive there, you can follow the edge around past rainbow-colored rock formations, a prehistoric fossil and have fun swimming through the halocline. Because of this formation, Cenote Calavera is known as a jug type formation. Cenote Calavera translates to ‘skull cenote’ in English, and the reason it is called this is that the sunlight that pours in through the holes of the cenote looks exactly like a skull at certain angles of the dive. 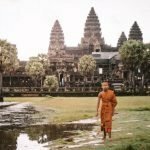 It is also known as ‘The Temple of Doom’ possibly due to the appearance of small “altars” in the wall of the cave, one that contains pottery and bones. 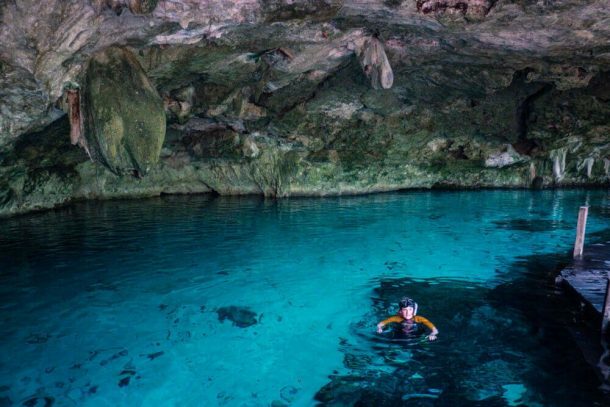 This unassuming yet impressive cenote is usually pretty quiet, especially in the mornings, since it is usually more popular with divers than it is with swimmers or snorkelers. This is weird because it’s a cenote close to Tulum center, and quite easy to get to. It’s also the best cenote near Tulum Ruins (only 4.5 km), so easily make the two a day trip! The incredible Cenote Angelita (or “Little Angel”) is one of the most interesting cenotes to scuba dive in Mexico. Although I have not personally been, I know that there is a magical gas layer at 30 meters deep called halocline. Decomposing leaves create the hydrogen sulfide and it becomes caught between the fresh and salt waters, creating the illusion of a sandy bottom. Eerily poking out of the gas layer are giant dead trees, of which you can swim amongst the branches. On the dive, you can hover above and dip below the gas layer if you feel comfortable. Under the gas, it is completely dark and feels as if you are floating through a haunted forest. The cenote is sometimes dubbed “the underground river” because once you are down there, the gas layer coupled with the fallen trees and boulders look like the edge of a peaceful river. It is a cenote dive that, if you are adventurous, you definitely should not miss! 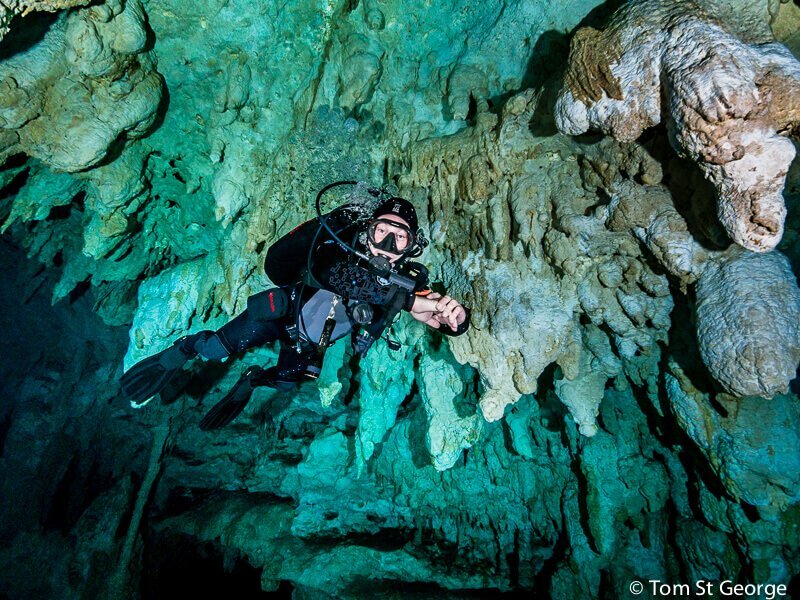 Sac Actun, meaning ‘white cave’ in Mayan, is the second-longest underwater cave system in the world, accessible by hundreds of sinkholes (cenotes). 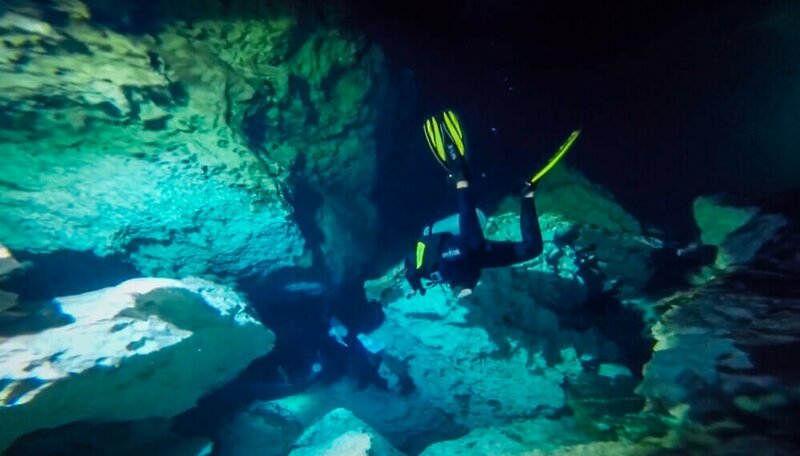 A relatively recent discovery that the Dos Ojos System was connected to the Sac Actun system, gave Sac Actun the title of World’s largest flooded cave system. Stalactites punctuate gorgeous caverns and stalagmites jut out all over the place, making Sistema Sac Actun some of the best diving in Tulum. 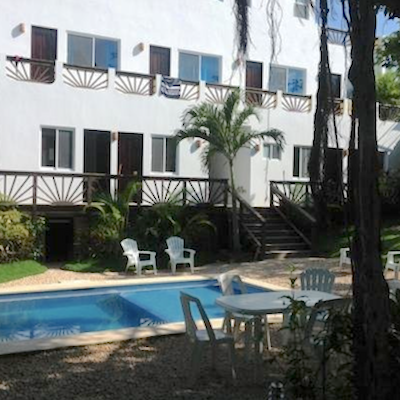 Sac Actun is only 4 km from Tulum but is also easily accessed from Playa Del Carmen as well. 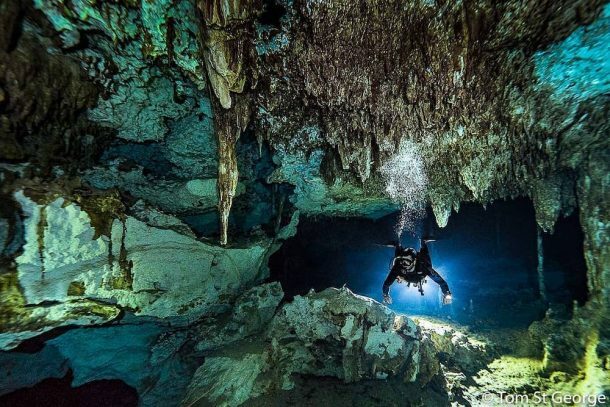 The best cenotes in the Sac Actun system for scuba diving are listed below. 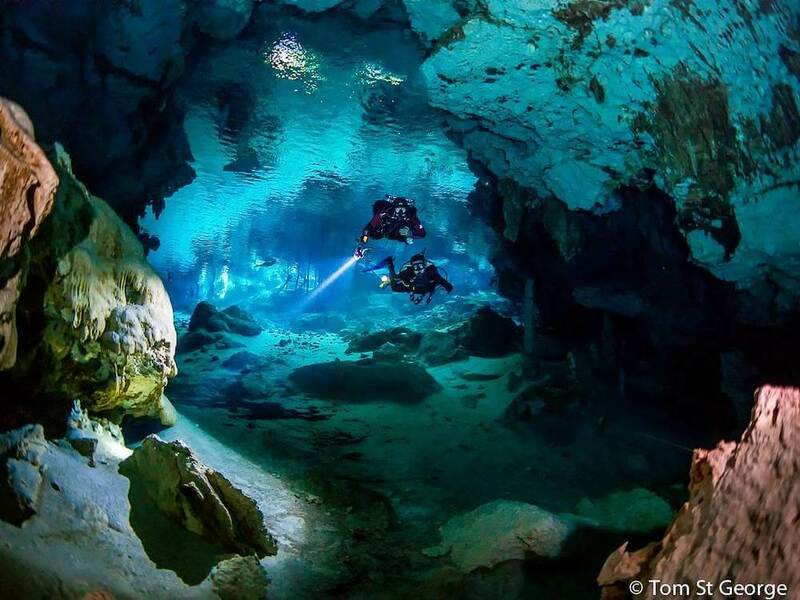 Cenote Dos Ojos is one of the best places to go diving in Mexico and perhaps the world, for first-time cavern divers. The cave system is mapped out by reel lines, helping the first time cavern-diver like myself feel safe navigating these confusing tunnels. This passage is filled with spectacular stalactites and stalagmites that you come face-to-face with as you cruise past. As the divers wind their way through the cave system, they can occasionally get a glimpse of the snorkelers and free divers alongside them. It’s totally breathtaking here and absolutely worth the price. Some of the BEST diving I’ve ever done in my life! 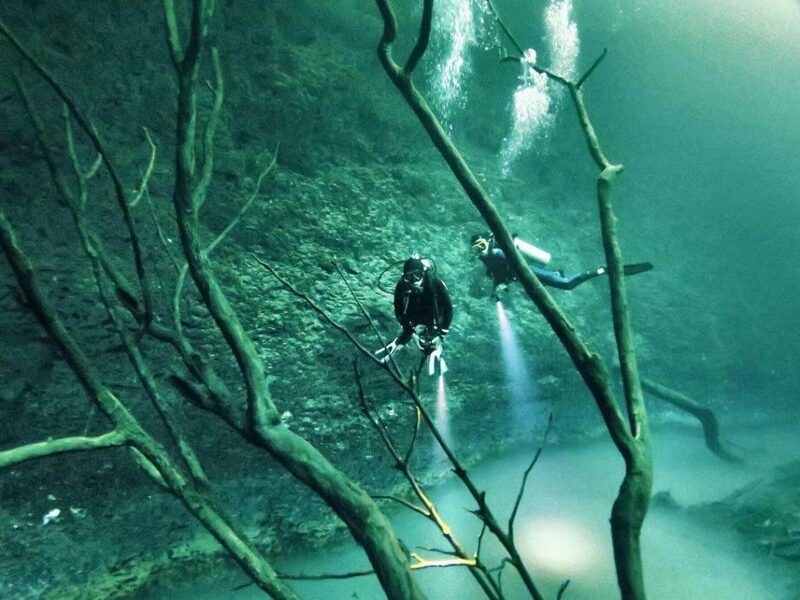 There are two scuba dive routes that can be taken in Cenote Dos Ojos. The most popular route is ‘The Barbie Line’ which leads divers around the light-filled cavern of the second eye, where divers encounter incredible rock formations, huge columns, and stalactites. With lots of space to swim around, this is ideal for the less experienced cavern diver. ‘The Batcave Line’ is a lot darker and feels more like a cave dive. It leads around an air-filled bat cave, where divers will actually ascend to take a look at the bats and the stunning cave decorations. I mentioned this particular cenote in the snorkeling section above, too. The snorkeling and diving are somewhat separated and both incredible in their own right. Cenote Dos Ojos is easily one of the most versatile and best cenotes to visit in Tulum. The Pit Cenote is the deepest cenote in the state of Quintana Roo. The visibility is incredible at this cenote, you can see about deep into the water, even from the surface! The entrance is steep and narrow but once in the water, it opens up into a huge menacing cavern. At about 30-meters deep, divers can see what looks like the sandy bottom with an eerie branch sticking out from it. Actually, this is a white gas layer, which is caught between the salt and fresh waters. 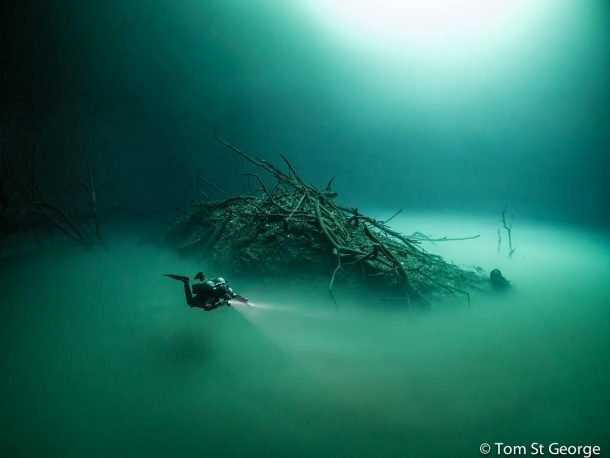 It is similar to the gas layer that makes Cenote Angelita so famous. The cave then drops even further but can’t be reached by untrained divers. On the deepest point of the dive, your guide will point out some animal and human bones on the floor of the cavern, before beginning the ascent. On your way back you’ll notice the mesmerizing light beams that dance around in the depths on a sunny day. 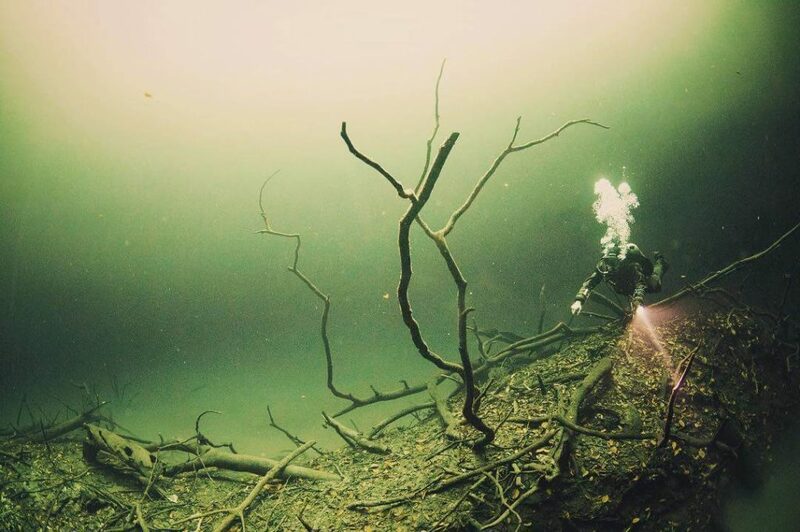 The Pit is easily one of the best cenotes for divers, due to the amazing things you’ll see down there and the fact that its open-water, so suitable for almost all diver certifications. Recently, snorkellers and swimmers were banned and only scuba divers are allowed to enter El Pit these days. Cenote Pet Cemetery is also part of the Sac Actun (White Cave) system that we talked about above. It is famously called ‘Pet Cemetery’ due to the animal skeletons found inside that can still be seen when scuba diving today. One set of remains was first believed to be that of a dog but was later found to be of an extinct prehistoric camel. For the snorkelers the cave inside is lit up by lights, there are bats everywhere and there are lots of cool crevices to explore. For advanced divers, it’s one of the best cenotes in Mexico to do cave diving because all of the bones and fossils are still in their original position, and the spectacular caves are highly decorated with delicate white rock formations. This beautiful cenote is deep in the jungle and difficult to get to because of how remote it is. 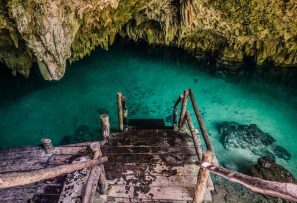 But that just means there will probably be fewer people there and you might have the whole cenote to enjoy to yourself. 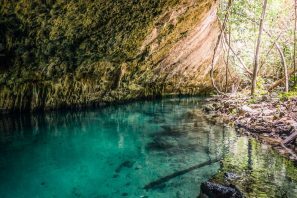 It can be accessed the same entrance as Cenote Dos Ojos and El Pit, so it is possible to do these cenotes on the same trip. But you cannot visit this cenote without an approved guide. Above the cenote, there is a rainforest walk and spider monkeys and other animals can be spotted in the trees. One of the most popular cenotes in Tulum, Gran Cenote (Grand Cenote or Great Cenote) is a large connection of a series of smaller caves more than one giant cenote (as the name suggests). All of the sections are connected by wooden walkways, laid down on the jungle floor. It boasts such crystal-clear water, that fish and turtles can be seen swimming around without the need of a snorkel! I did not personally visit this cenote, but I have included it because of all the raving reviews – in person and online. It is possibly the most expensive cenote in Tulum, and although I wanted to visit, I simply couldn’t afford to. Laguna Kaan Luum is a wide, bright green lagoon cenote located just outside of Tulum. Kaan Luum is a locals’ secret and if you go in the afternoon, you’ll probably have the whole place to yourself. It is certainly not the most beautiful cenote in Tulum, but if you want to relax in the sun away from the crowds, this place is ideal. Finally, someone made a bar at a cenote! 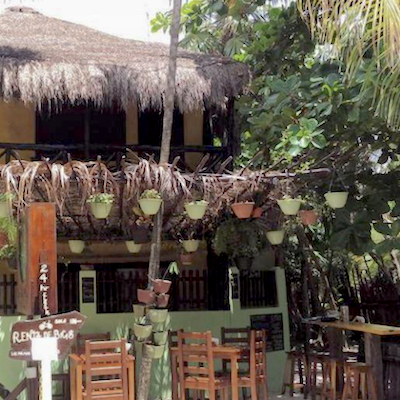 Clan-Destino Bar is perfectly located on the main beach strip of Tulum. It’s ideal for those that want to experience a cenote, but really don’t want to leave Tulum (or the bar). I personally think this place is a hidden gem in Tulum. It’s right in the middle of all the action; they sell good burgers and round-the-clock alcohol and the young guys who run it are fun and upbeat. The cenote itself is fairly average. Not spectacular, but a nice place to cool off and to escape the harsh Mexican sun. Make sure you bring some money and your swimmers and prepare to get seriously relaxed. The entrance is easy to miss, so be on the lookout for the orange ‘Clan-Destino” sign on the roadside. Cenote Arco Maya is the only non-commercialised free cenote in Tulum that I could find. It’s quite well hidden but is a great place to get some quiet as no one else will be around. It’s also a great place to go for sunset since the tree-line is low. There’s a nice deck for you to sit on and a few active cichlid fish swimming around the mangroves as well as a resident cayman that I never got the pleasure of meeting. 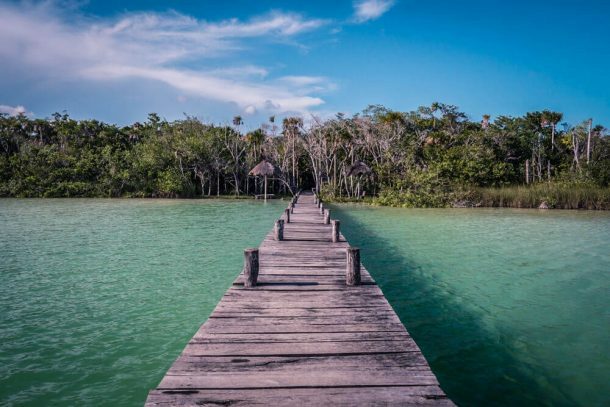 There’s a small deck for sunbathing and the walk to the cenote is along wooden stumps through the mangroves. It’s quite an adventure! A little further down the road in the Biosphere Reserve, there is a platform over the lake with hammocks, which are even better to watch the sunset from if you want to make an afternoon of it. I read recently that sometimes this cenote is blocked off from the public due to an ongoing ownership dispute. However, it usually isn’t manned so if someone is there that day you will just have to pay a small amount to enter. 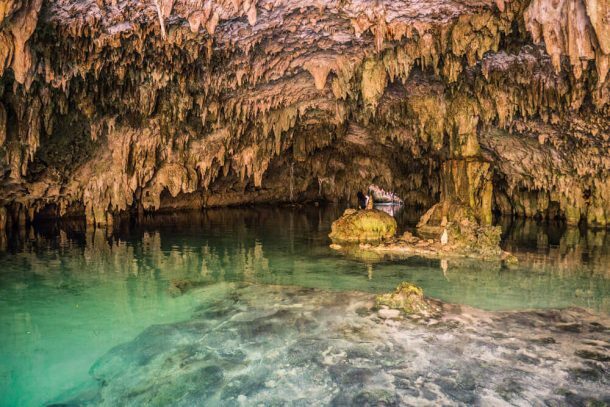 Being completely off the normal tourist trail, this cenote can be difficult to find. It’s located down Carretera Tulum Boca Paila just before the Biosphere Reserve of Sian Ka’an at the Arco Maya caseta arch across the road from Casa de las Olas. Once at the caseta, you’ll see a sign on the right pointing you in the direction of the cenote. 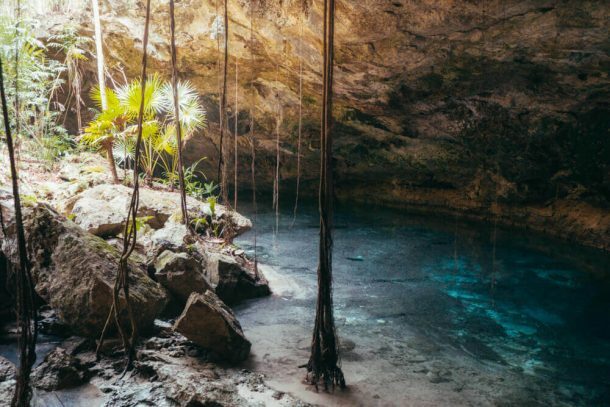 These Playa del Carmen cenotes are located between Playa del Carmen and Tulum, about 20-30 minutes driving down the main highway (Carretera 307). 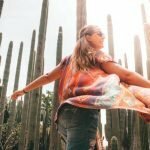 There are no cenotes in Playa del Carmen city center, so these are the best (and closest) cenotes if you are coming from Playa del Carmen. 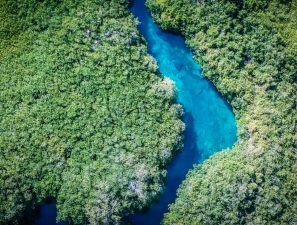 There are three really good Playa del Carmen cenotes right near each other, so they would make a fantastic day trip from either Tulum or Playa del Carmen. 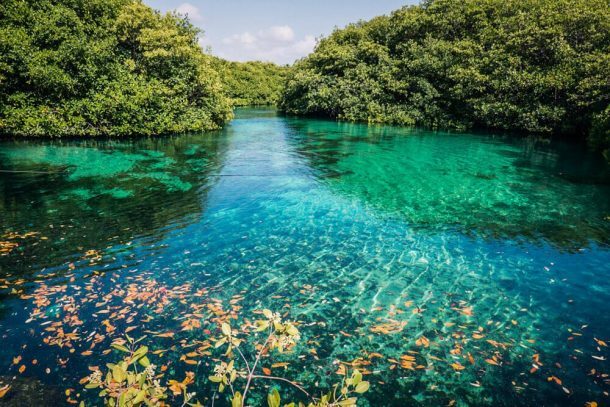 On the opposite side of the road, near to Akumal Beach, there is a lagoon-style cenote called Laguna Yal-Ku (sometimes called Cenote Akumal). Below, I have posted some of my favorite photos from the cenotes near Playa del Carmen. 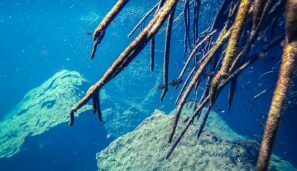 If you want to know more about these cenotes, just read the article! 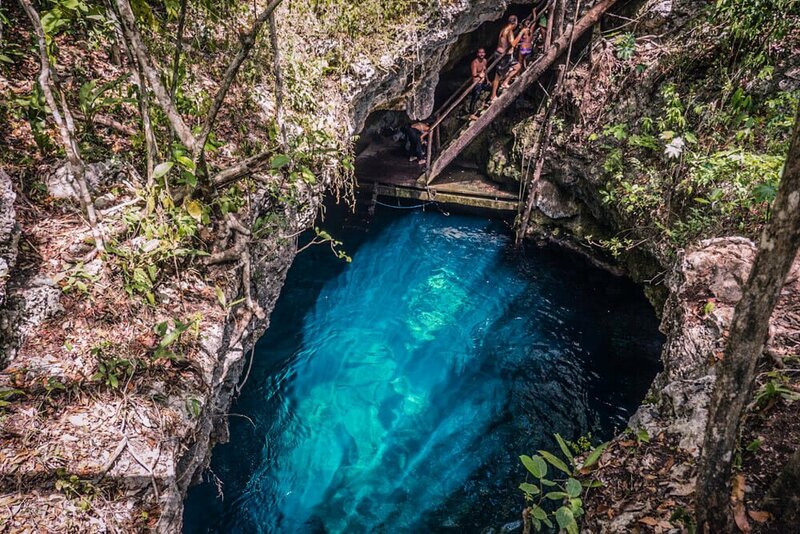 By clicking on any of the above links, you will be taken to that exact cenote in my other post. All of these Playa del Carmen cenotes are of a moderate price range from $100 MXN pesos to $350 MXN pesos. 1. Swimming/Snorkeling: The oils from human hands and certain elements in lotions and repellents can severely damage this natural growth process and also harm the fish. Some cenotes will require you to shower before entering and you may also like to get a biodegradable sunscreen. 2. 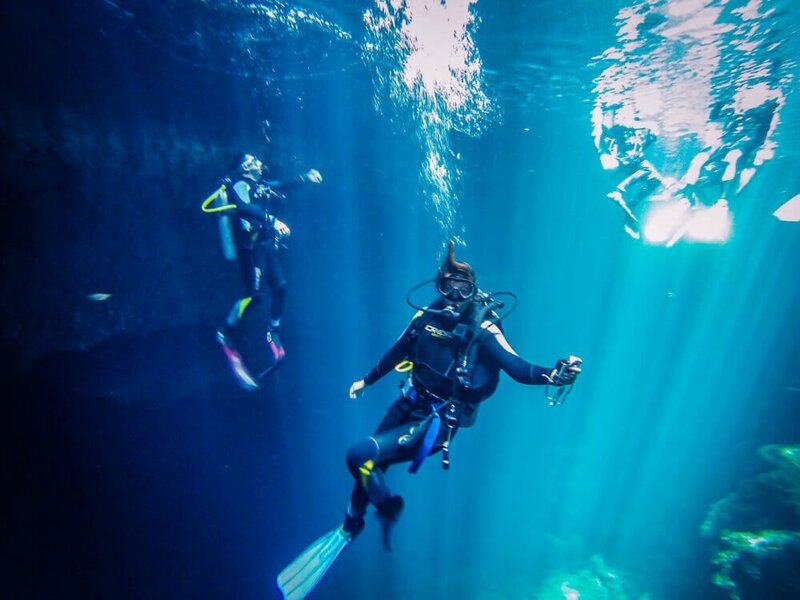 Scuba Diving: You MUST dive with an experienced guide in the cenotes of Tulum so you don’t get lost. It’s quite dangerous; people have got lost in the many tunnels and drowned inside. You’ve been warned. 3. 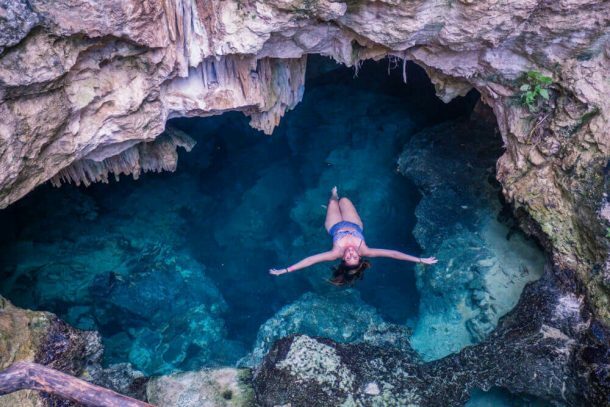 Free Diving: Never lose sight of the cave entrance unless you are following a line. The complex cave systems of the cenotes are extremely easy to get lost in, it is not worth the risk. READ: How to Choose the Best Snorkel Mask to Fit You! There are many beautiful cenotes close to Tulum that are open to the public, just waiting for you to explore. Prices differ between each cenote and are at subject to change. Since most Mexico cenotes are located on private land and the owner of the land decides their own cenotes’ prices. Most of the best cenotes in Yucatan cost money, but there are also some free cenotes around Tulum. I will talk about all of your options below. 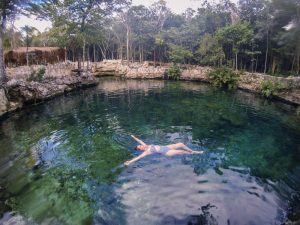 This is my ultimate list of cenotes in Tulum, complete with current prices and the facilities found at each cenote. This custom map of cenotes near Tulum includes all of the best cenotes in Riviera Maya as well as cenotes in Tulum that I didn’t go to but have been recommended. The Tulum and Playa Del Carmen cenotes that I went to and thought were the best are marked with a heart. Click on each icon to see more information about the cenote and its entry price. 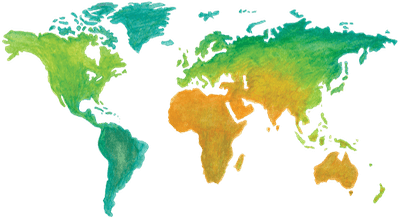 To open this map in Google Maps simply tap the small square icon on the top right-hand side of the map. If you are using the map from your phone, the map should save into “Your Places” > “MAPS” automatically. You can select an area to download and use offline if you won’t always have access to data in Mexico. For more information on how to download maps for offline, click here. READ: Visit My Favorite cenote in Mexico. Cenote Oxman in Valladolid! The cenotes range from less than a kilometer (1/2 mile) from Tulum to over 40 kilometers (25 miles) away from Tulum. This means picking which cenotes you go to is dependant on your transport type. Bike rental places are common around Tulum town center and main beach road. Rental costs $180 MXN pesos per day from Las Palmas Maya (and it’s a similar price everywhere else). You can get to quite a few really good cenotes with a bicycle. It will be a hot ride though – take lots of water! My picks would be either Cenote Calavera, Gran Cenote or Casa Cenote by bike. Some of the cenotes along the Carretera that runs between Playa del Carmen and Tulum are accessible by taking the colectivo from Tulum. A colectivo is a shared minivan. I have marked on the cenote map where you can get these colectivos. The cost will between $20 and $40 MXN pesos. Easily head to Cenote Azul, Cenote Cristalino or Cenotes Casa Tortuga using the colectivos. The best way to see all the cenotes you want is to rent a car. We did this and think it is the best way if you love cenotes. There are several car rental offices in Tulum, and you can also rent cars at Cancun Airport. The roads are safe in the day and easy to drive. 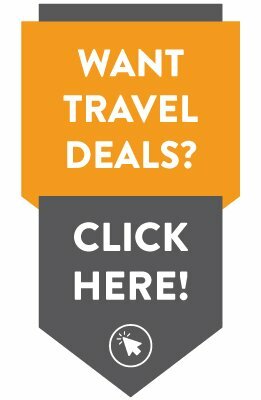 I prefer to book online with CarRentals.com as they compare across several rental companies to give you the best price. Always take pictures/video of the car before you leave the rental office to avoid scams (they can happen anywhere, not just Mexico). 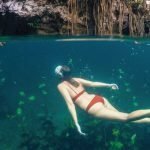 After extensive time exploring countless cenotes, I have compiled a list of items you really should not forget to take. 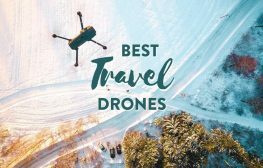 Seeing the cenotes in real life is absolutely incredible and I’m sure you will want to know what items are an absolute must-bring when spending time in these mesmerizing natural structures. If you’re doing your own trip to the cenotes you will definitely want to bring your own snorkeling gear. Some of the bigger cenotes will rent snorkel gear to you at a price, from my experience at around 50-200 pesos each time you rent. But most of the time the gear is old, crappy and has had other peoples mouths all over it! On my first trip to Mexico, I bought a top-of-the-line snorkeling kit and I did not regret it. Cenote Tulum snorkeling may become your favorite thing to do in Mexico! 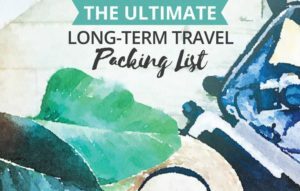 Packing light and don’t want to bring too much baggage? I have found a tiny pair of Goggles just as useful for exploring the cenotes. Sure, what you’re seeing isn’t as clear and you can’t breathe underwater, but it still does the job! You read that right! 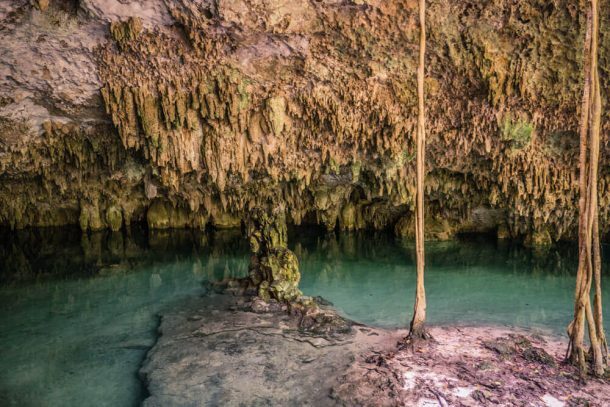 You are 100% NOT ALLOWED to wear normal sunscreen in the cenotes in the Riviera Maya. 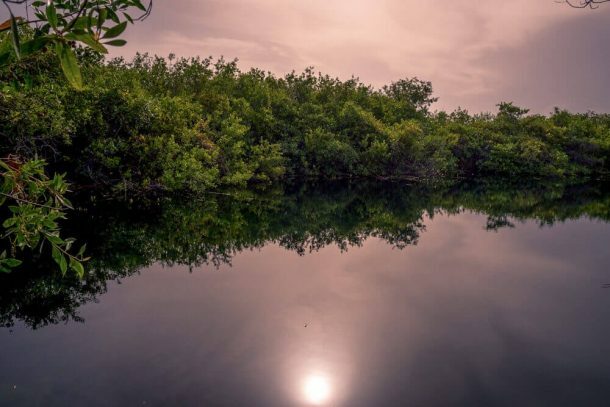 The bio-diversity in cenotes is fragile and the ingredients of most sunscreens and insect repellants can severely damage the cenotes and harm the fish. Some popular cenotes will even require you to shower before entering because of the oils on the human skin. This is also a problem for the fragile reefs surrounding the beautiful shores of the Yucatan Peninsula. 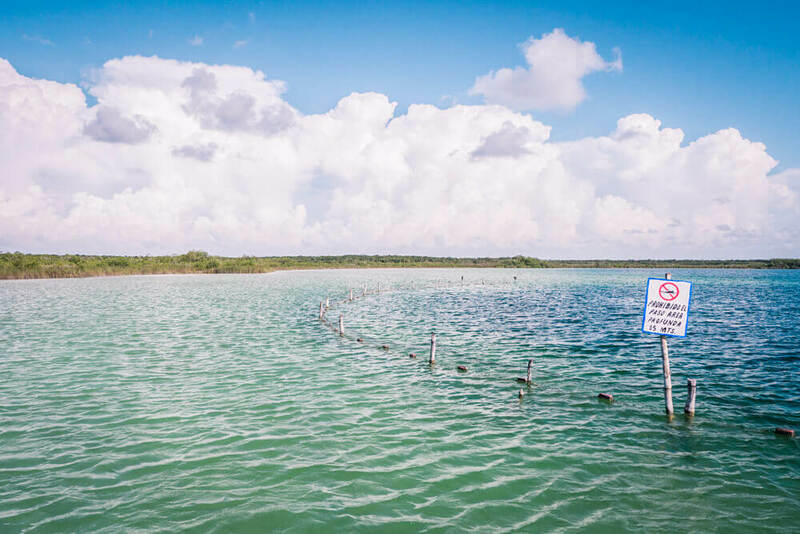 If you plan to do any cenote snorkeling or diving, anywhere in this area, you will be asked not to wear normal sunscreen. It’s best to buy biodegradable sunscreen at home and bring it because it can be difficult to find and/or very expensive in Mexico. You really don’t want to travel to Mexico without a top underwater camera. Mexico is a water-lovers paradise and it would be a shame not to capture all your special memories made in the cenotes. 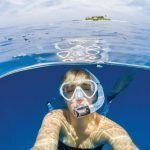 GoPro underwater cameras are so cheap now and you can use them for loads of different types of photography, not just water. You really don’t have an excuse not to buy one when their prices start at only $199 USD! Perfect for those of you who aren’t in the market for a GoPro right now or just want another awesome way to capture your watery memories! I find them easiest to use by pressing buttons above the water then dipping the phone under. This was one of my most frequently used GoPro attachements in Mexico! Did you know that the deeper you go the more colours you’ll lose out of your photos or video? Water cuts out light, meaning by about 10 meters deep your GoPro footage will be all blue. The dive light is a way of adding colours back into your picture is by using artificial light. This dive light starts at only $28 USD and is so bright you’ll be sure to easily take gorgeous underwater video, especially in the cenotes! Have you seen those amazing half-underwater and half-above-water photos? They are done with this awesome contraption called a dome. It essentially makes it much easier to get those awesome shots. 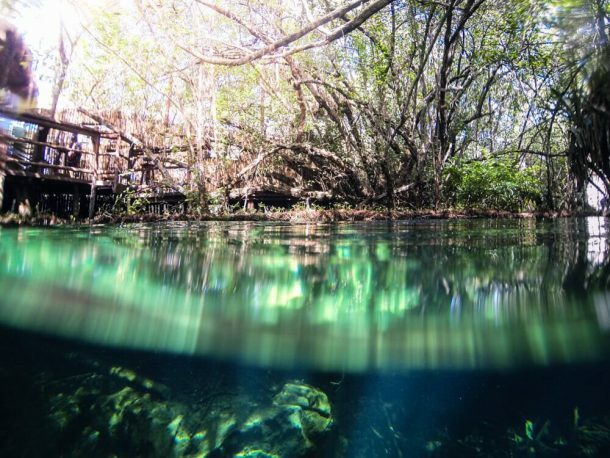 Check out some of the shots it took in the cenotes above! Super low-cost waterproof head torch. This headlamp had been on my radar for a long time because it’s cheap, waterproof, sleek and small. 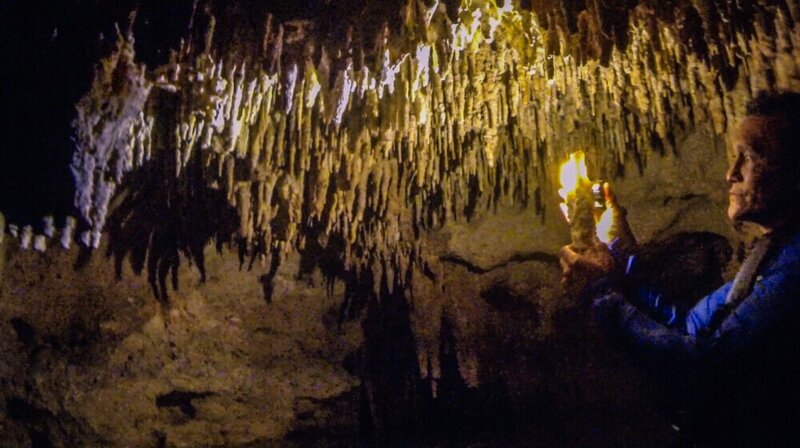 It outputs quite a bright light (250 lumens), which you will want inside the cenote caves. It also dims and flashes. Another thing I love about this torch is the red light, which is good for spotting animals at night! It is only waterproof up to one meter though, so this is NOT a diving lamp. A sturdy waterproof torch with a lifetime warranty. This is my second choice for a waterproof headlamp. This is a seriously sturdy headlamp that can be used for literally everything. It comes with five output modes, up to 170 hours of burn time and you can even buy a rechargeable version of this torch! 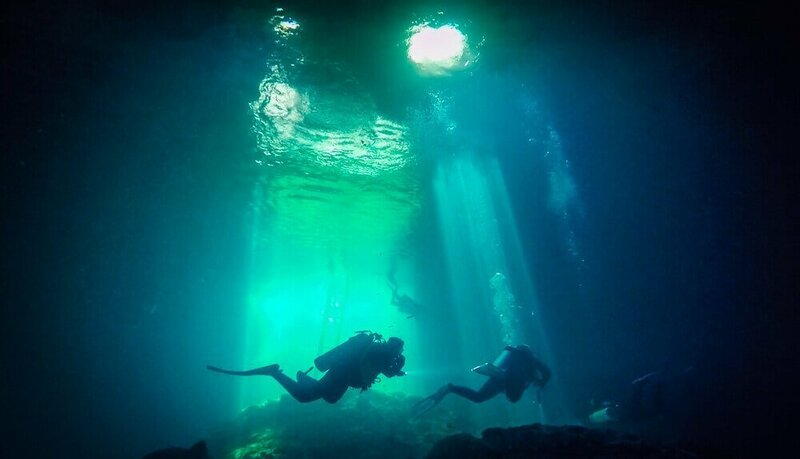 If you plan to dive, you’ll want a dive light in the cenotes! There are loads of different types of dive lights out there to choose from but I particularly love headlamps. It shines where you look, leaving your hands free to play with cameras or do other more important things. It has rubber straps to grip better underwater, it is seriously bright, and you can take it 150-meters underwater. We used this headlamp to find bones at the bottom of a cenote that was once used as a graveyard! Some of the less popular cenotes are set amongst the jungle with more rustic facilities. Protect your feet around and inside the cenotes by wearing these super stylish booties. 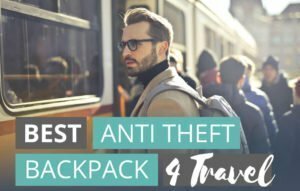 MORE: See more travel gear I love and use! Shabby but cute, Mama’s Home has the best backpacker vibes! The rooms are packed with beds, but the breakfast is flipping amazing. 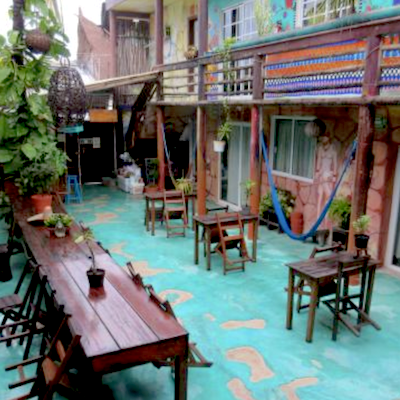 It’s also one of the cheapest hotels you’ll find in Tulum. This gorgeous eco-hotel is a little more expensive than the hostels, but you get what you pay for. Within a minute you will walk right into the ocean, making it one of the best Tulum beach hotels out there! The whole hotel is run off solar power so it’s super eco-friendly. Don’t worry there are generators for backup if the sun’s not out that day. It also boasts a big communal kitchen so you can save money by not eating out every meal! Clean, crisp and engulfed in a lush garden. Featuring free WiFi and an outdoor pool, what more could you want? Well, it is a tiny bit further out of town but if you have a car, or hire a bike, it’s fine. It is nice and close to a huge supermarket and a short walk to the restaurant district. In Tulum, I dived with Jean-Claude at Zen Diving. JC was one of the most professional and friendly dive instructors I have ever encountered. He obviously loves his job cenote diving and goes out of his way to ensure his customers have the best day diving of their lives! He took us to three lesser-known but seriously incredible cenotes, helped us perfect our buoyancy and had really nice diving gear. Zen Divers are the only dive center I can wholeheartedly and without any doubt recommend when diving in Tulum! 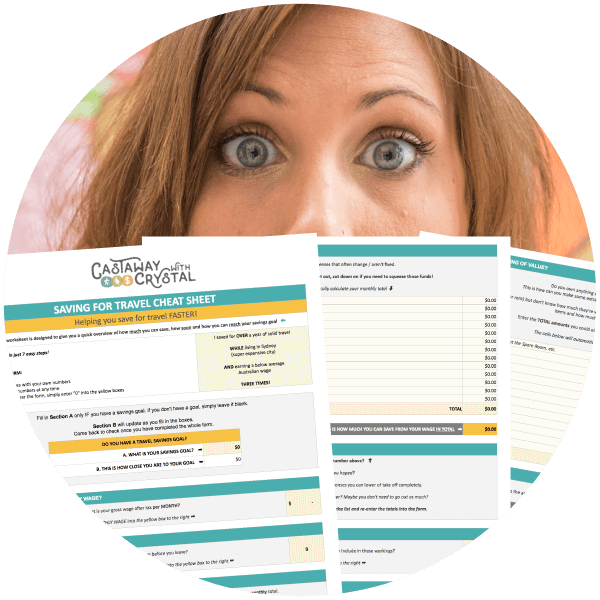 How Often do I Update the Prices of Cenotes? Yucatan cenotes are usually located on private property, meaning prices can change at any time at the owner’s discretion. I check prices regularly whenever I can but sometimes the price I have listed may not be the most recent. 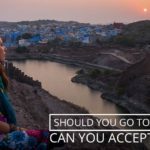 Feel free to comment and let me know if a price is different to what I have listed in this article. Go Back to Something in This Post? 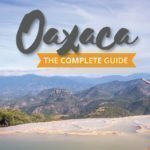 Heading to Mexico Soon? Read more of our Mexico content! 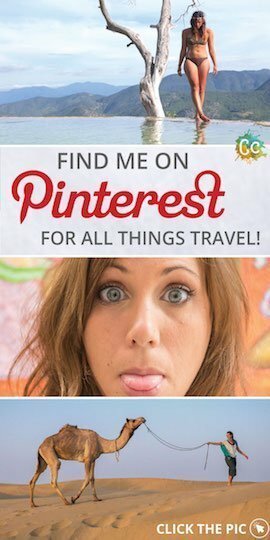 I hope this post has helped you choose the best cenote in Tulum for your needs. If you need any help or have anything to say, feel free to comment them below! Originally Posted: November 30, 2016. Frequently updated. Share this or save it for future reference! Great photos! This is definitely up on the list. Would love to dive around all the cenotes. What a great selection of spots to get my dive fix! 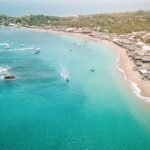 The blue of the water at Dos Ojos is incredible – and although I’m a bit put off by the name of the Pet Cemetry dive site – I would love to give it a go! Bookmarking for when we get to Mexico! 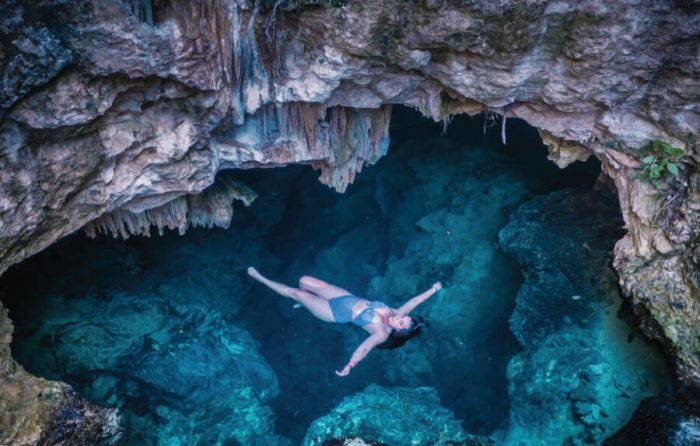 I’ve never heard about cenotes before but from your awesome pictures they look so beautiful! We would love to explore some for ourselves one day! Pet Cemetary is wonderful! I enjoyed Hell’s Bells a lot too, but I find that The Pit is just overrated (and crowded). I will be back in 5 weeks and can’t wait to go back to the water! Wow! These are absolutely gorgeous! How is the water temp in these cenotes? Is there a lot of marine life to see? We love the Mayan, it’s a favorite destination of ours. We usually have our kids with us, so have not had a chance to experience the cenotes, but hope to maybe this year when we can get away as a couple. I’m a lover of all things snorkel, but would love to experience the diving. And glad you pointed out the harms of sunscreens and oils to the water, most people don’t even think of that! Caves are so alluring, and then you add underground rivers and lakes, and you’ve got something magical. I’ve never been so I’ve really enjoyed reading your post. 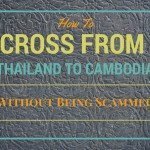 Great tips for when I head down that way! Was in Tulum and Carmen Del Playa a few years ago, not sure how I missed going to any cenotes. They looks insane! I really have to get my diving certificate when I get the chance. Seems like theres so much to explore in this world! 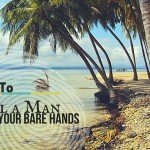 You’re right – the snorkeling at both El Pit & Pet Cemetary was really cool! They were some of the better cenotes that we explored. 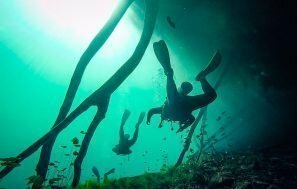 In addition to the cenotes, we also found some good beach snorkeling off both Tulum and Akumal from the map on the Snorkeling Dives website ( https://www.snorkelingdives.com/?city=Cancun). But, we hadn’t seen the Yal Ku Lagoon that you mention above, so we’ve added it to our to-do list for the trip down in the Fall. Thanks! There are certainly the best cenotes near Tulum. Thanks for the info, we have now traveled around and snorkeled the local areas on your recommendations. Those pics look so amazing! I have got to make this year the year that I finally book a trip to Mexico! Scuba diving is one of my biggest passions. The main reason I love diving is the adventure, because you never know what you will found below the water surface. The second reason would be the wonderful diversity of the marine life. In the past years I’ve collected a series of underwater photos which I proudly store in the https://dive.site logbook, along with all my diving logs. In Tulum with my family and I have to say that this was the most helpful of all the blogs I read on the cenotes. The map feature is amazing. Well done! Oh, I’m glad you started this off by explaining what a cenote is because I honestly had no idea! Hi, we are doing a cruise with one of the ports being Cozumel… there are two excursions that have cenotes… I am wondering what is Cenote Park? It looks like it is near Tutum… have you been there? There are lots of cenote parks. You are doing a tour? Maybe they can tell you which ones? 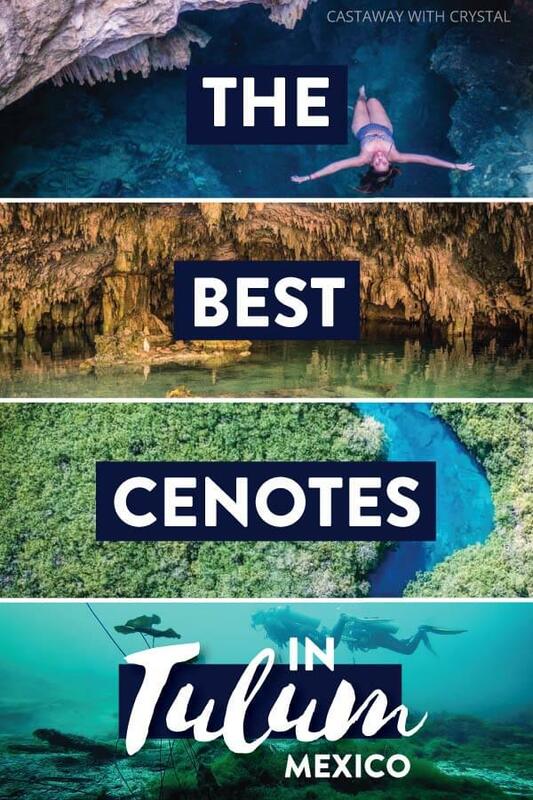 Otherwise Cenote Secreto and Xel-ha are fun so hopefully you are going to one of those! 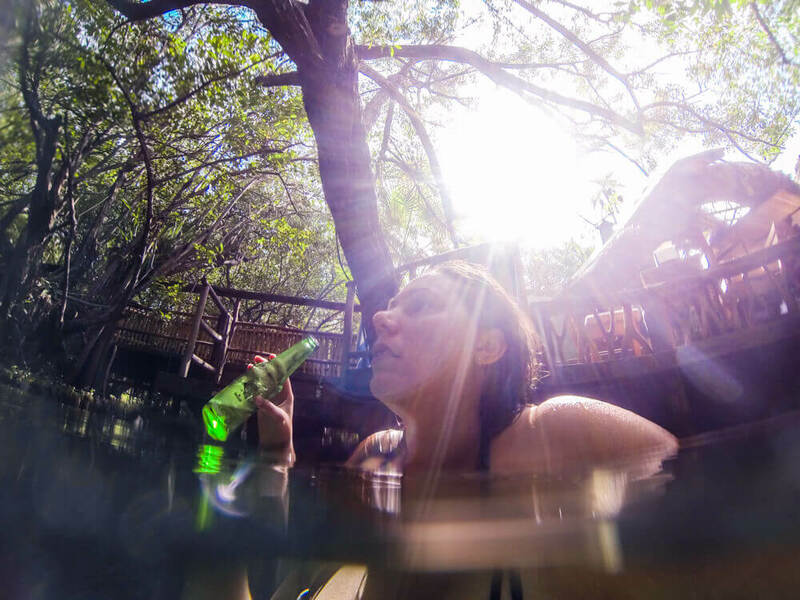 The park I talk about above – the Casa Tortuga Cenote Park is much cheaper but also super fun! I doubt you will be going to that one as part of the cruise though. 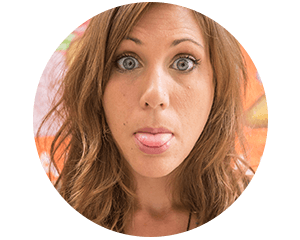 I talk mostly about cenotes that you go to on your own!